You need your nearsighted or farsighted vision corrected. You also demand contacts with comfort that lasts all day—starting with your first morning cup to going out with friends until midnight. 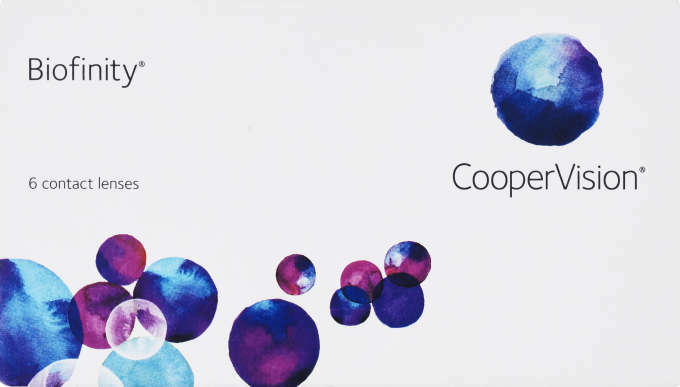 Meet CooperVision Biofinity®, the silicone hydrogel contact lenses that won’t slow down your busy days. Biofinity lenses offer you the premium level of comfort that you’re searching for. And you’re free to wear them for up to 7 days in a row. Monthly disposable soft contact lenses. 6 lenses immersed in buffered 0.83% saline.